CAMP BOYFRIEND will be hitting bookstore on July 2nd! I don't know about you, but I cannot wait to get my hands on a copy! Haven't heard about CAMP BOYFRIEND? The summer of her dreams is about to get a reality check. They said it couldn't be done, but geeky sophomore Lauren Carlson transformed herself into a popular girl after moving to a new school halfway across the country. Amazing what losing her braces and going out for cheerleading will do. Only trouble is, the popular crowd is wearing on Lauren's nerves and she can't wait to return to summer camp where she's valued for her brain instead of her handsprings. She misses her old friends and most of all, her long time camp-only boyfriend, Seth. This year she intends to upgrade their relationship to year-round status once she's broken up with her new, jock boyfriend, Matt. He doesn't even begin to know the real her, a girl fascinated by the night sky who dreams of discovering new planets and galaxies. But Matt isn't giving her up without a fight. As he makes his case to stay together, Lauren begins to realize his feelings run deeper than she ever would have guessed. What if the guy she thought she was meant to be with forever isn't really The One? Returning to Camp Juniper Point was supposed to ground her uprooted life, but she's more adrift than ever. Everything feels different and soon Lauren's friends are turning on her and both guys question what she really wants. As summer tensions escalate, Lauren wonders if she's changed more than she thought. Will her first big discovery be herself? Today we have a special pre-sale event for everyone! Trust me... YOU DON'T WANT TO MISS OUT! 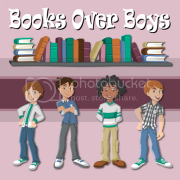 Anderson's Book Shop in Larchmont, NY is hosting a special event with authors J.K. Rock, to help celebrate their upcoming release. What is this special event? You can pre-order a signed copy RIGHT HERE (below) or at GCREADING! 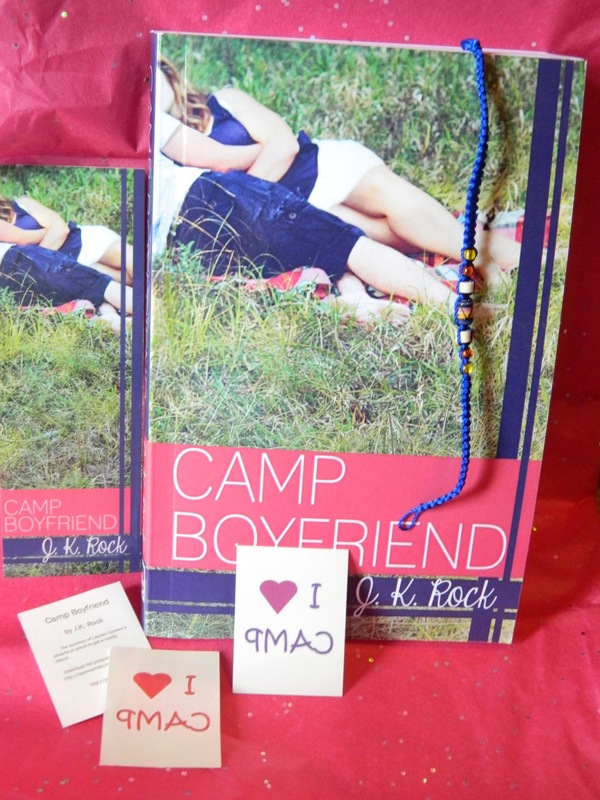 Those who pre-order via Anderson's Book Shop not only get a SIGNED copy of CAMP BOYFRIEND (personalized or not), but the authors themselves will also ship out a friendship bracelet, and I ♥ CAMP tattoo to each person as a thank you! Below you will find a PayPal pre-sale button where you can purchase a SIGNED copy. Price for each book is $10.68 with tax included, and a $5.00 flat rate fee for shipping. There will be a tracking # that Dee from GCR will send out to everyone who pre-orders, so that you can keep up with your package. All packages will be shipped out release week. YOU DO NOT PAY GCREADING A DIME TO DO THIS. THIS IS AVAILABLE TO U.S. RESIDENTS ONLY. YOU CAN REQUEST A REFUND AT ANYTIME AS LONG AS THE BOOK HASN'T ALREADY BEEN BOUGHT AND SIGNED. EVERYONE WHO PRE-ORDERS HAS TO FILL OUT THE FORM BELOW SO THAT I CAN FORWARD ALL OF YOUR INFORMATION TO THE AUTHORS. I WILL ALSO BE USING THE FORM TO E-MAIL EVERYONE THEIR TRACKING #. IF YOU BUY MORE THAN ONE BOOK, SHIPPING COST CHANGES. PLEASE E-MAIL ME FIRST BEFORE BUYING MORE THAN ONE. THIS IS TO ENSURE YOU DO NOT OVER PAY SHIPPING TO THE SAME ADDRESS. CAMP BOYFRIEND PRE-SALE EVENT FORM! Also, if you live in the New York area, authors J.K. Rock will be signing at Anderson's Book Shop in Larchmont, NY on July 13th! More details to come! If you have any questions you can e-mail Dee at Events@andersonsbooksny.com or Damaris@goodchoicereading.com. Help spread the word and win! Want to win a signed copy from GCReading? Help us spread the word about this event and you could win one! You can enter via Rafflecopter below. THIS GIVEAWAY IS OPEN INTERNATIONAL!